The sleek looking stainless steel housing of Rice Lake’s TS Series is more than just attractive. This mirror nish is a barrier against potentially destructive elements. For work environments where anything can happen, trust in a balance that delivers performance inside and out. The polished nish of the TS Series’ stainless steel housing offers exceptional durability. 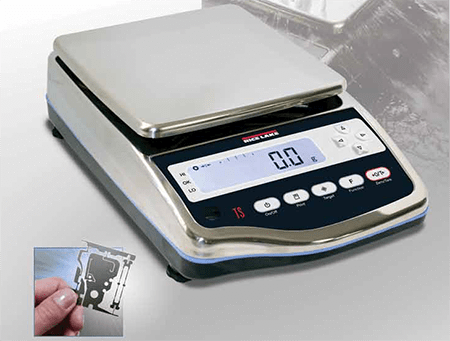 An IP65 rating means this balance protects against the ingress of dust and liquids into electronic components that can happen from normal spills and splashes. Smooth, continuous lines of the TS design make cleanup effortless. Unique tuning fork technology provides a high-speed response time, with stable and reliable results. No more waiting for stabilization or warm up, simply plug in and go. The TS Series offers incredibly fast output compared to similar models. The ability to interface with a PC and other equipment is invaluable for creating compliance records and data storage.